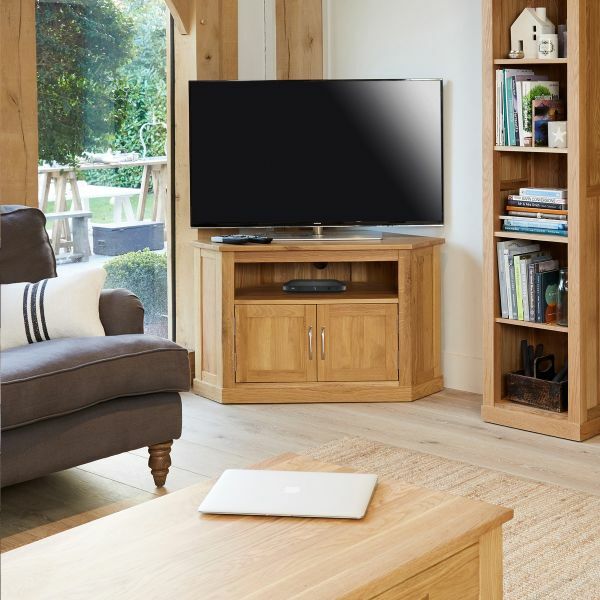 Create the ultimate space for your living room with our stylish selection of solid wood cabinets and media entertainment units. 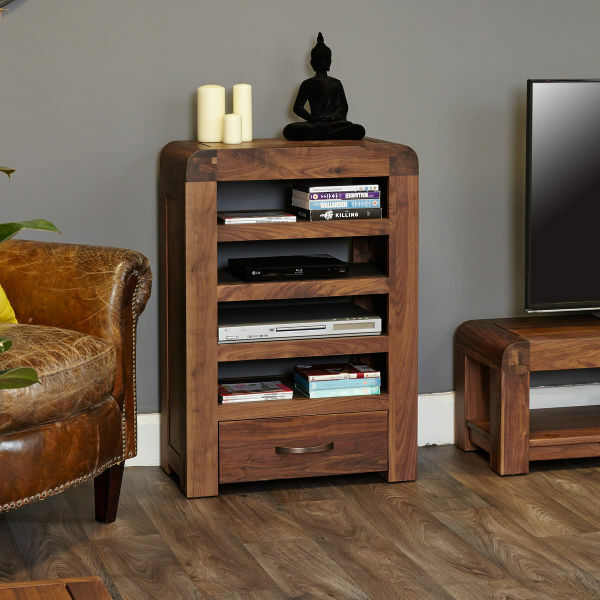 As practical as they are attractive, we've designed them to provide you with excellent storage for your television and all the required accessories. 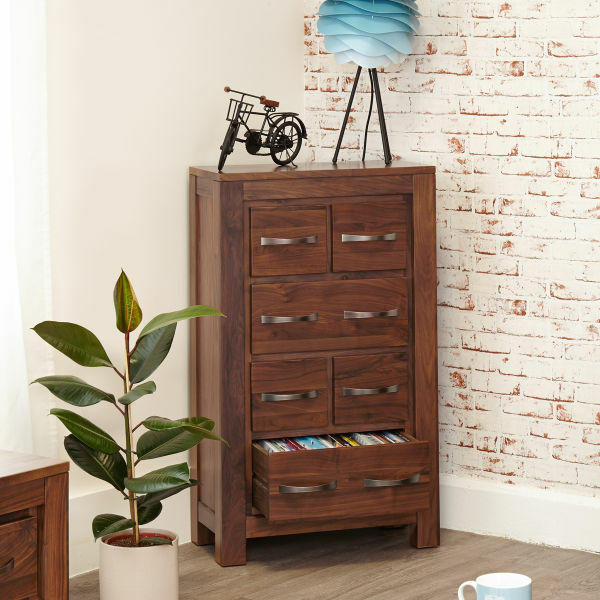 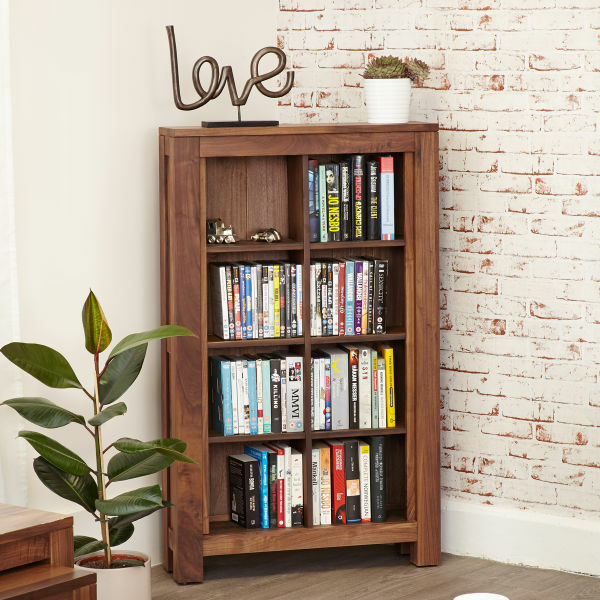 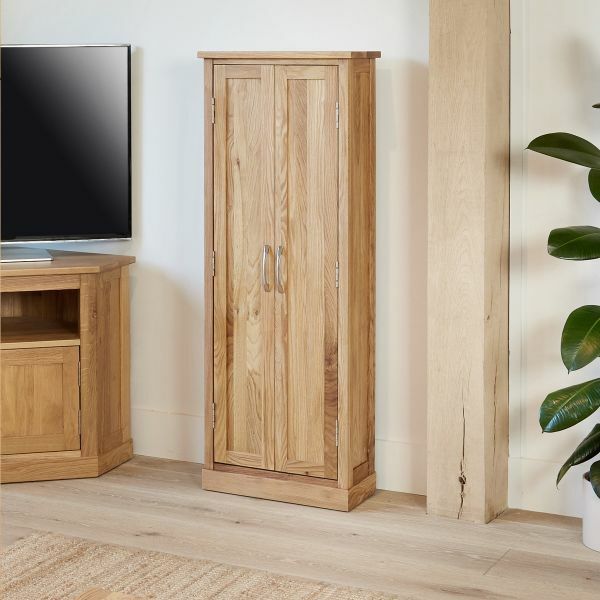 Whether you're looking for a large oak TV cupboard (with drawers and lots of storage) or are after something more compact in a dark wood, such as a small mahogany corner TV unit, you're guaranteed to find the ideal choice from our selection of cabinets. 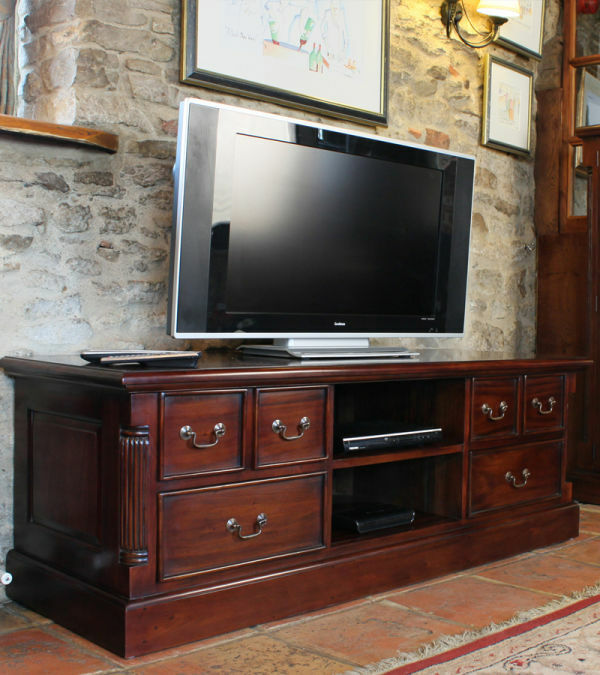 We're sure they'll suit the make and size of your TV as well as your living room decor. 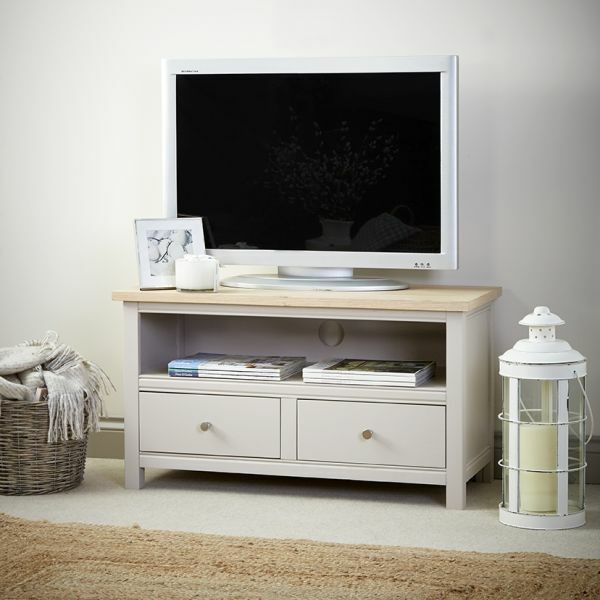 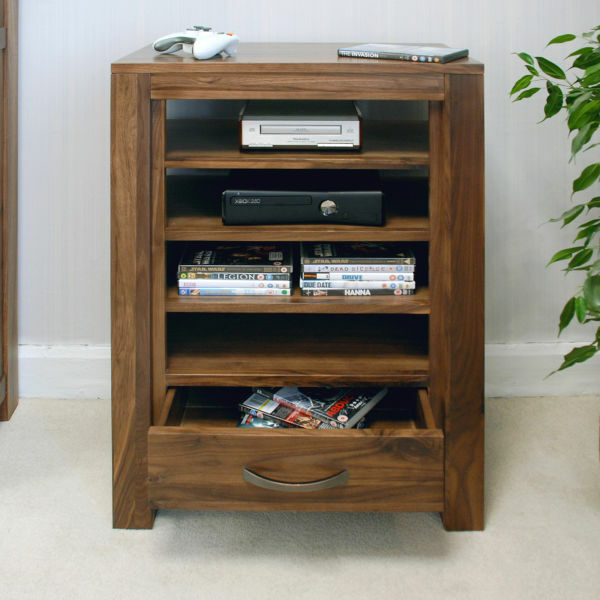 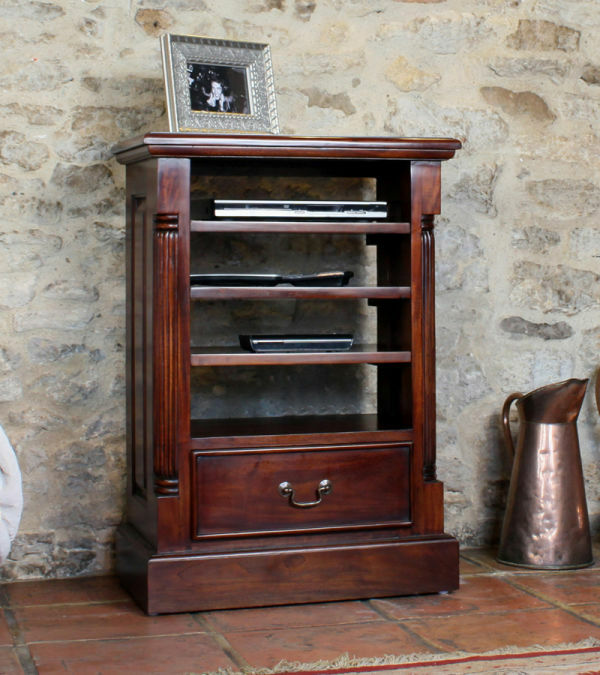 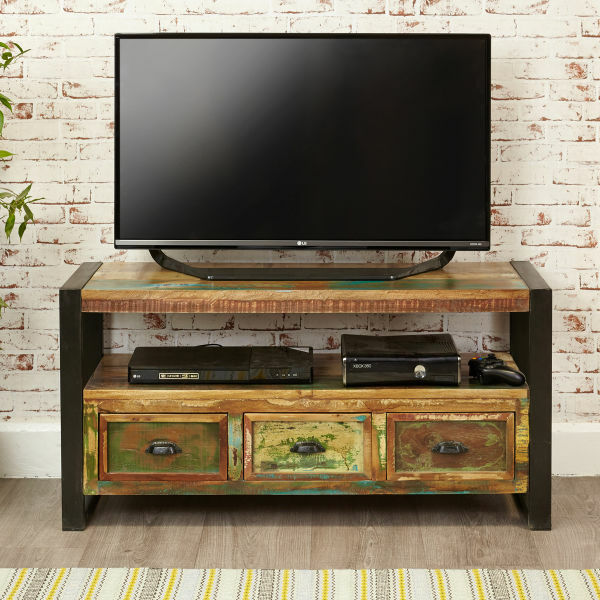 We offer many varieties of wood TV stands to choose from, ranging from our solid oak TV cabinets, to our rustic reclaimed wood collections or more traditional mahogany styles. 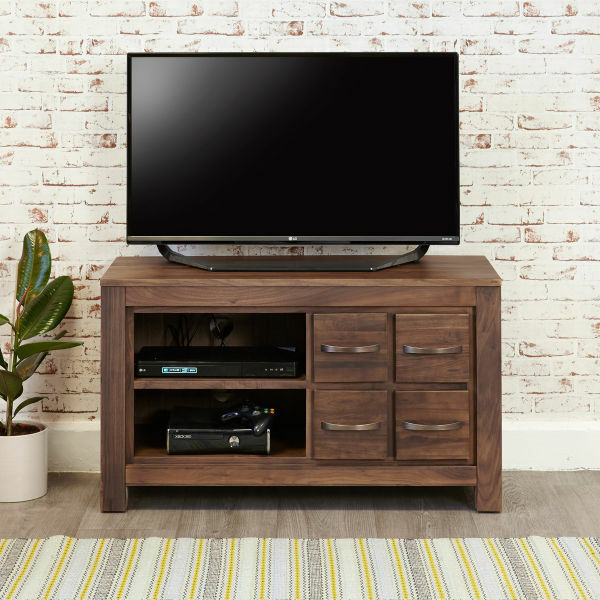 If you're after something a little more contemporary in nature then what about our solid walnut cabinets or striking grey painted media units; they'll instantly update your space. 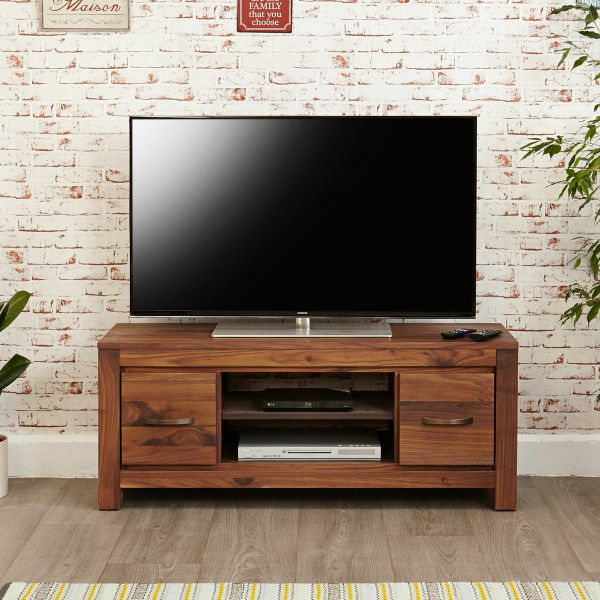 There's a selection of different size cabinet options available in most of our ranges and if you have a large flat screen, we have cabinets to fit widescreen TVs up to 75”, ideal for that plasma screen, cinema style viewing experience. 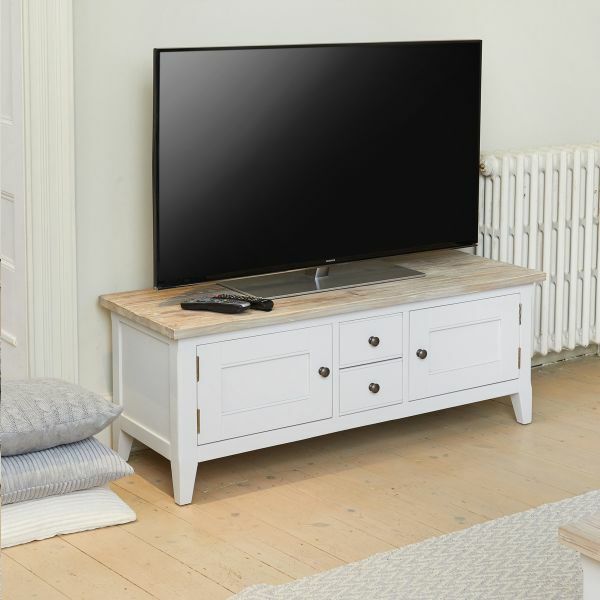 If you have smaller or awkward shaped spaces then we've designed a range of corner TV cabinets to help make the most of any space - no matter how small or compact - to show off your television to perfection. 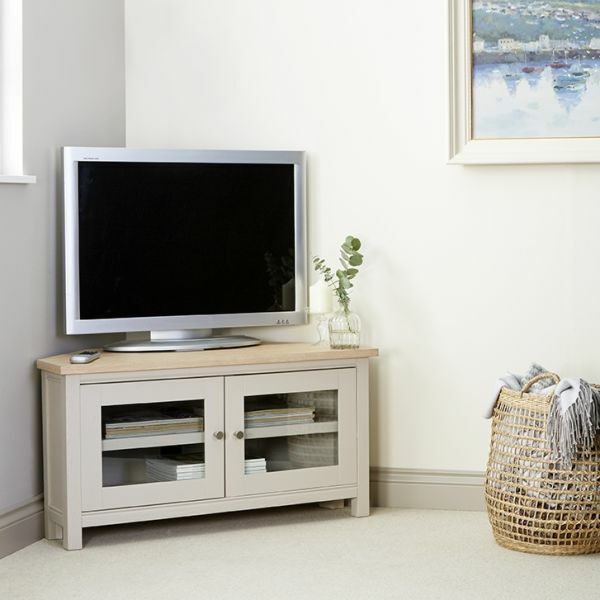 For those that prefer wall mounting the television then one of our entertainment cabinets will complement that perfectly, provide ample storage for the accessories whilst giving a contemporary look for your lounge. 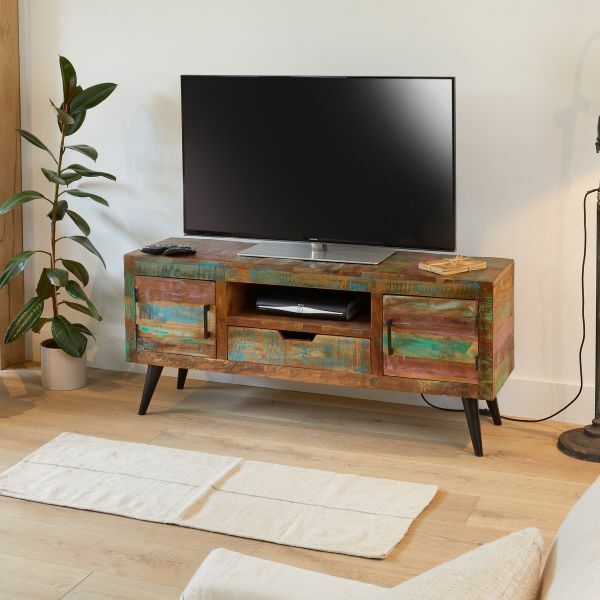 Nowadays, TV's aren't just for watching television, they're for gaming, surfing the internet, watching on demand films and boring (sorry, entertaining) friends with endless holiday pictures and home movies. 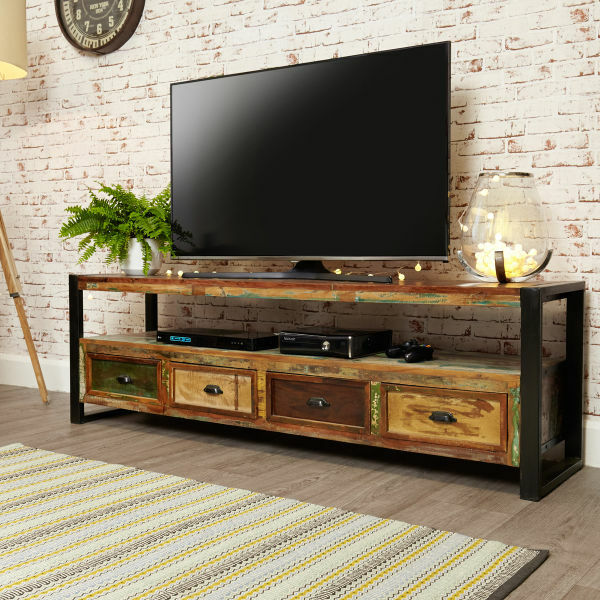 With all of these extras comes a host of consoles, boxes and devices (not to mention the cables, remotes and instruction manuals) so you'll need furniture that can accommodate it all. 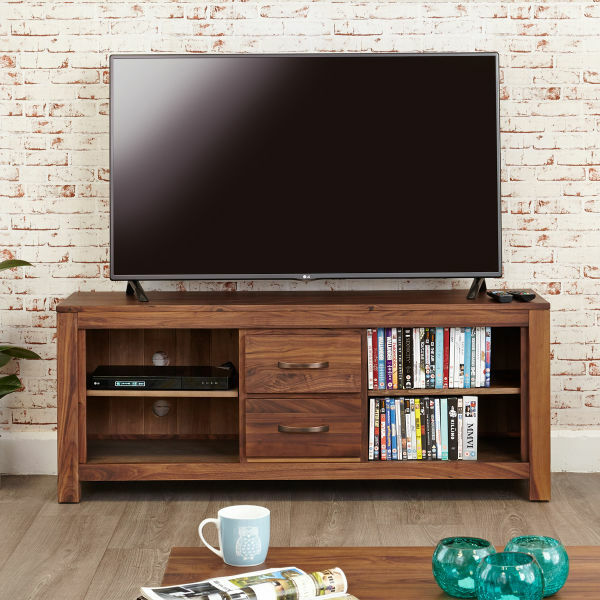 Our television cabinets are cleverly designed to house all your entertainment equipment, with shelves for digital receivers and set top boxes, plus spacious drawers and storage that helps keep the handsets and game controllers well organised. 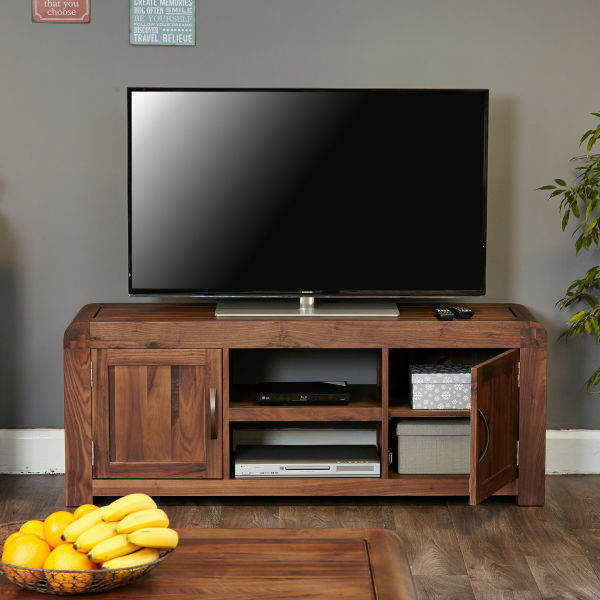 A small (but important) feature of all of our solid wood TV cabinets is that they have pre-drilled cable holes at back to the avoid a tangle of wires behind your television. 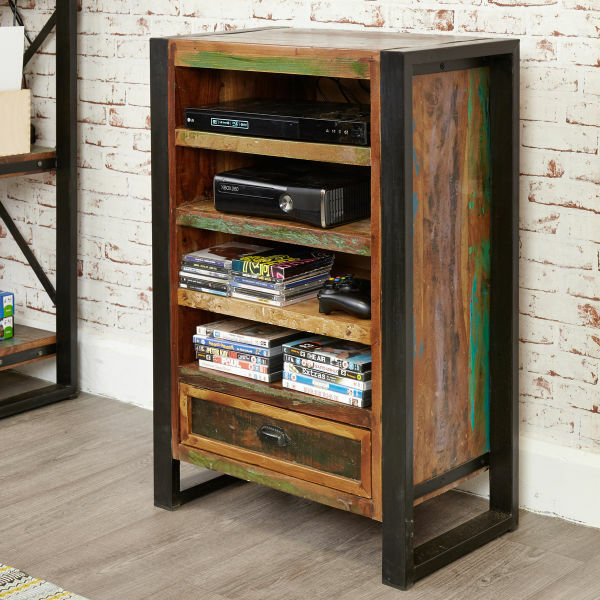 If you need a little more space for your games and DVDs, all of the cabinets are complemented by a range of storage units to banish the clutter from your living room. 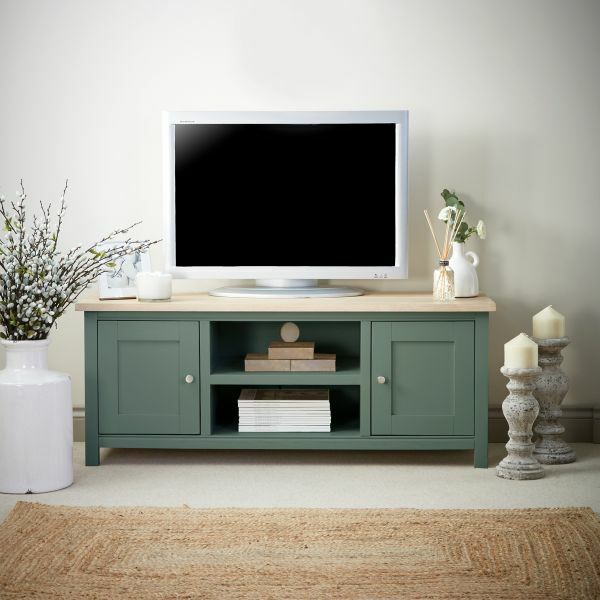 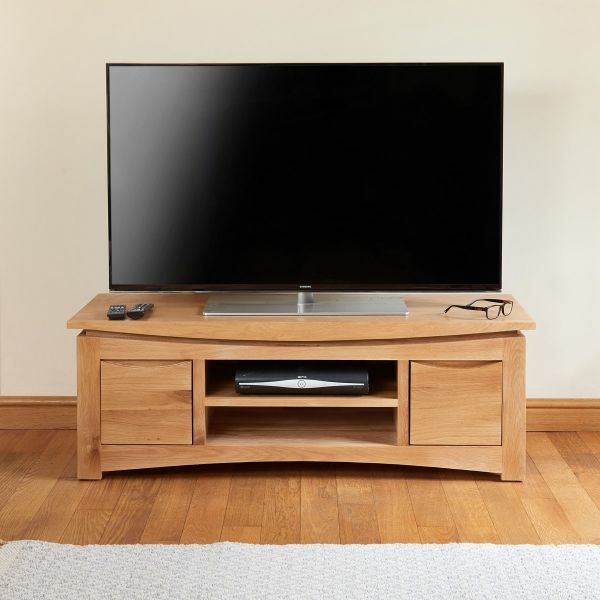 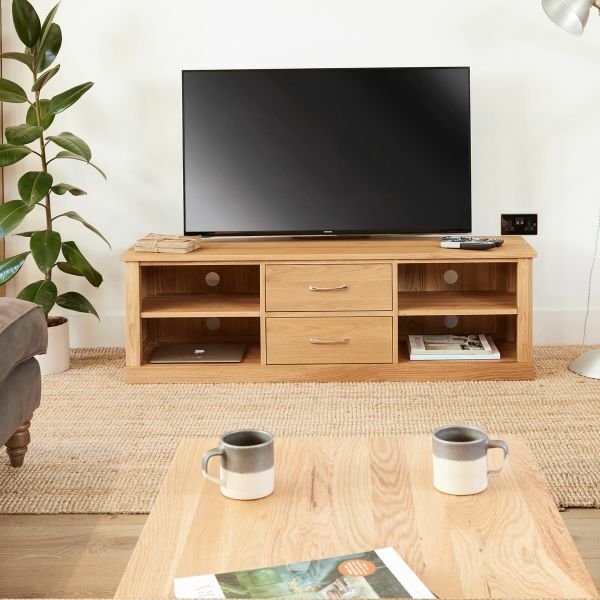 So if you are looking for a new solid oak TV cabinet with cupboards or drawers, large or small, we know that we'll have one that fits the bill. 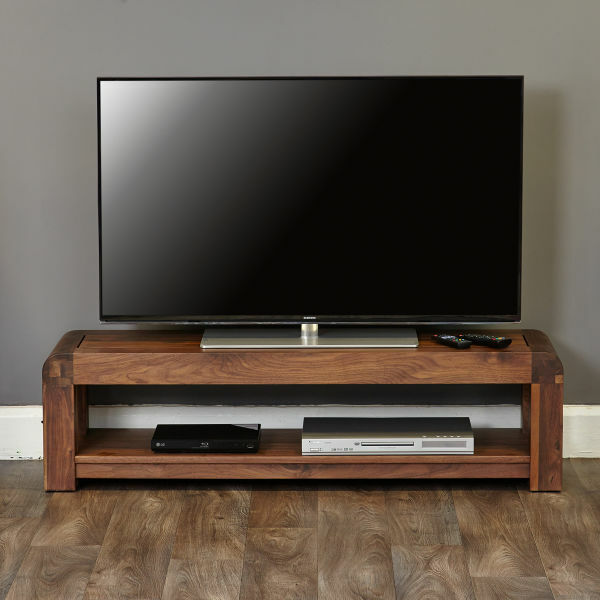 Our television cabinets and TV stands are made from solid wood and treated with a durable varnish to enhance your viewing pleasure and protect against everyday wear and tear. 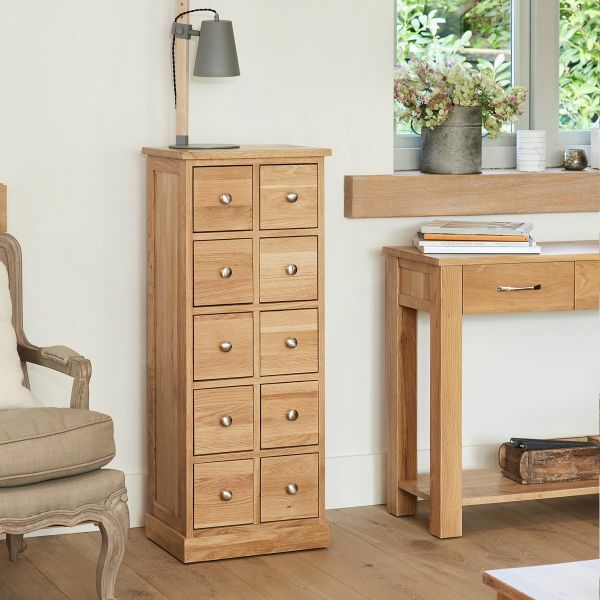 All units have dovetail drawer joints and are finished with elegant fittings to ensure that they look perfect - as good as the day they were purchased - in years to come. 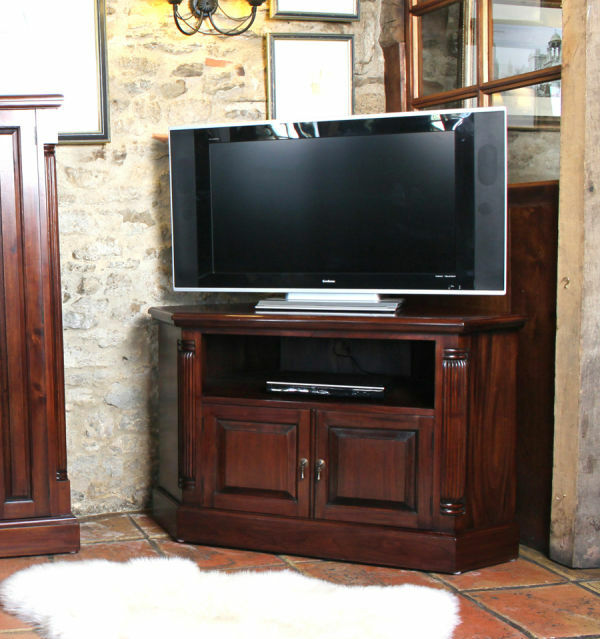 Each television cabinet is delivered fully assembled, direct to your door by our considerate delivery teams. 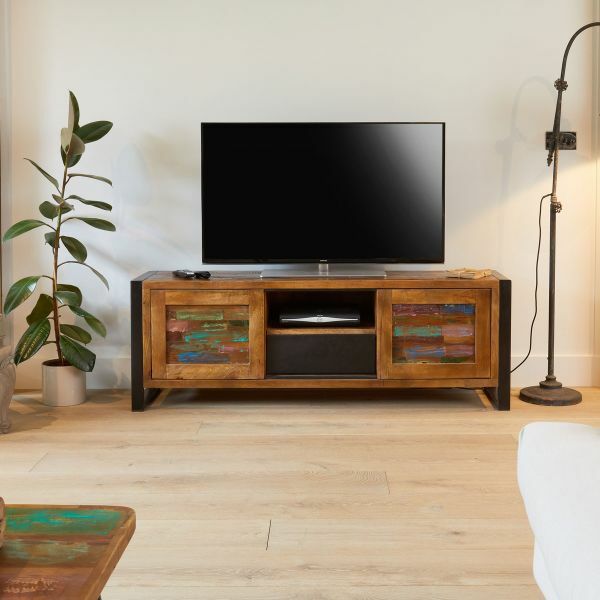 However, these days TV viewing is not just confined to the living room; many homes have multiple televisions in different rooms (we assume to avoid those arguments over what to watch and an attempt to keep the peace). 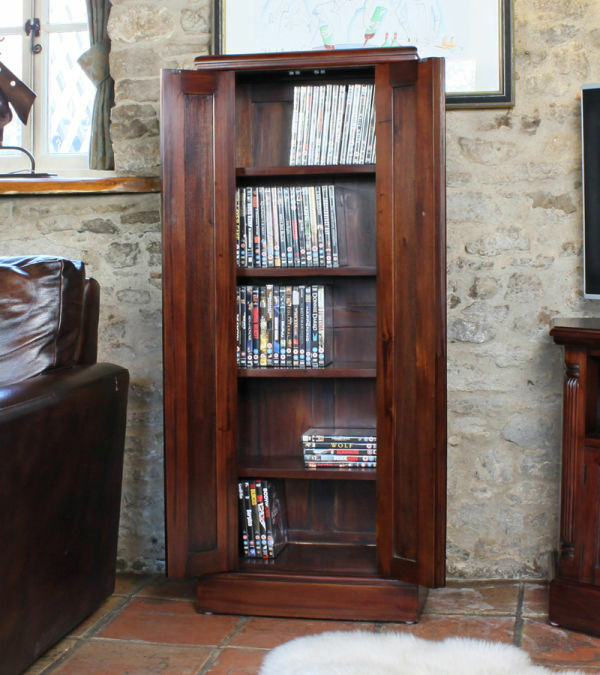 If this is the case for you then why not consider an additional cabinet for those other rooms where you might like to enjoy your favourite shows or films? 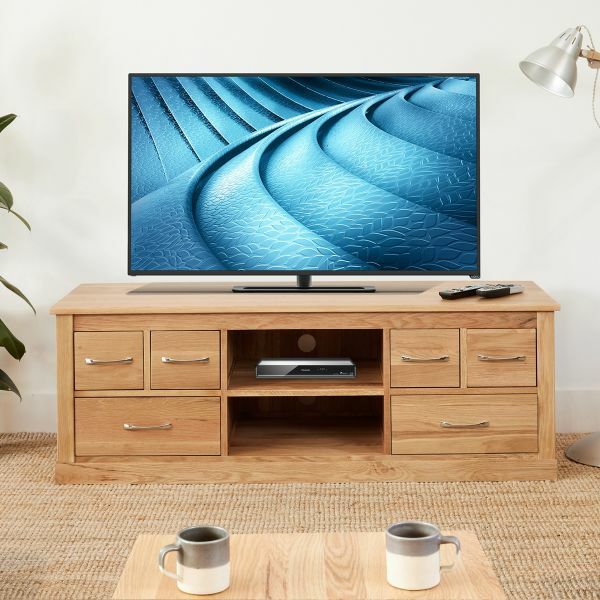 With the increased numbers of people that work from home, perhaps a new TV unit could be considered as a key item of office furniture for the home - a new flat screen TV and cabinet, some extra media storage or a wall mounted TV unit - an essential component of a modern home study or working space. 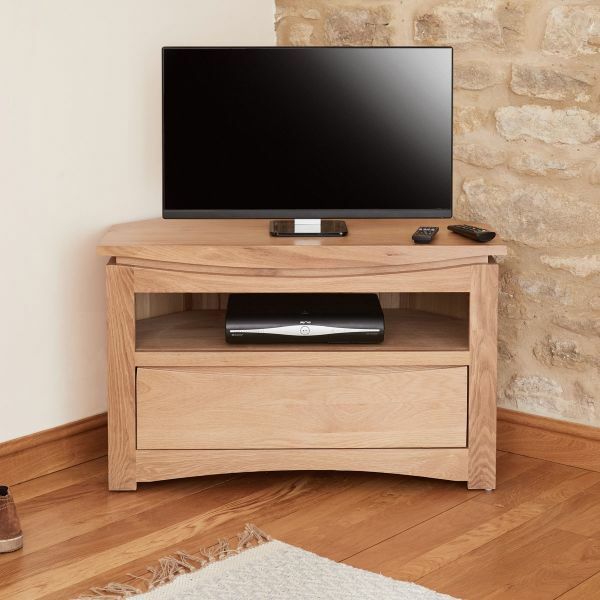 So whatever your space, style or viewing preference, any item purchased from the Wooden Furniture Store is an investment in years of viewing pleasure; all of our furniture is of the highest quality, with many ranges guaranteed for five years. 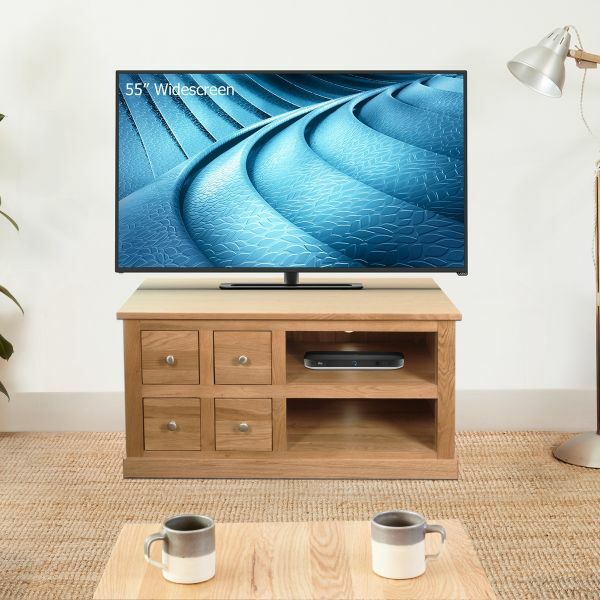 So sit back, grab the popcorn and enjoy the show.